Do you have a favorite summer flower? If it will bloom for me, it’s pretty much an automatic favorite. 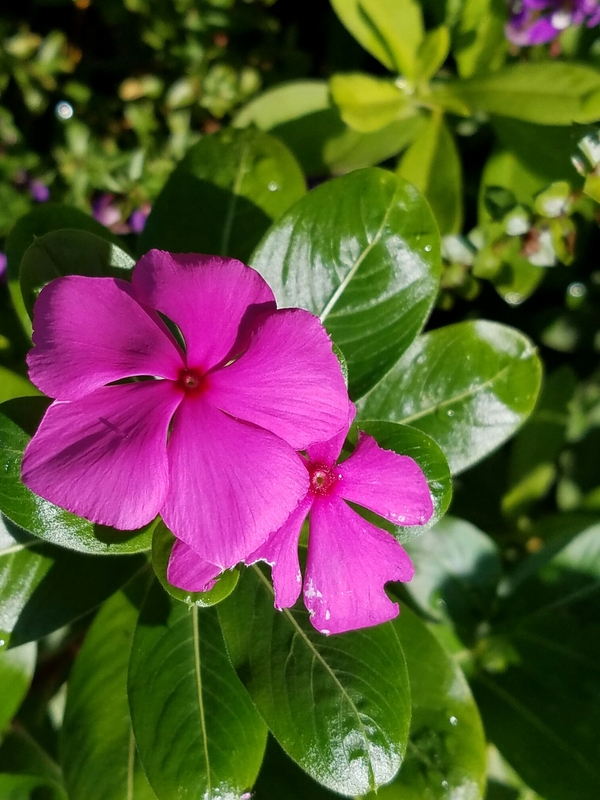 🙂 Here are some of my flowers that are blooming in Florida’s heat and humidity. 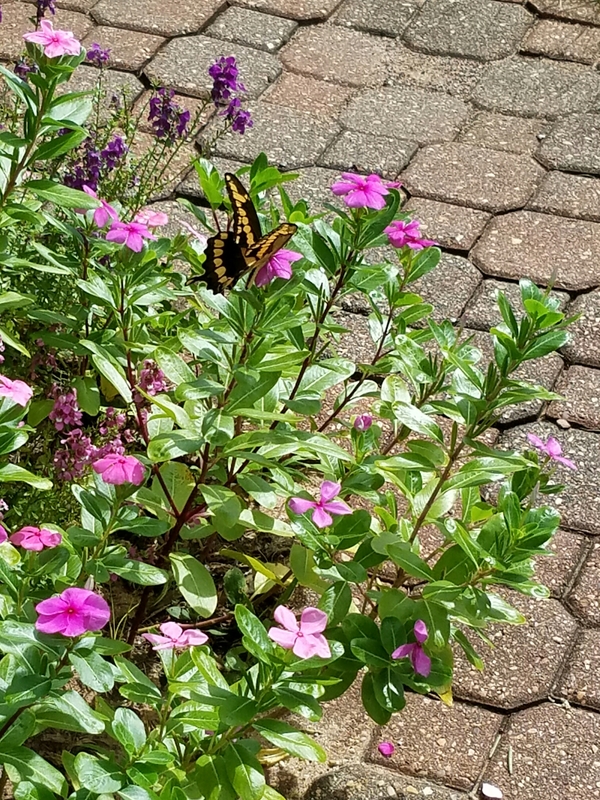 I planted some vinca years ago, and they have been on my list of trusty standbys ever since. They reseed themselves, and bloom happily all summer without extra care or water. They don’t need to be pruned, and the only work I do for them is to spread out the volunteers in spring and to prune them back once their life cycle is complete. The purple spiky flower you see on the left is angelonia. It was a fun addition this year and has bloomed reliably as well. Another favorite is the zinnias. I bought some short white zinnias as living decorations for a party last spring, them tucked them into the flower bed. They have spread out and needed no maintenance once established. Butterflies love them too. These short white ones haven’t seemed to have the disease issues that my taller ones have had. 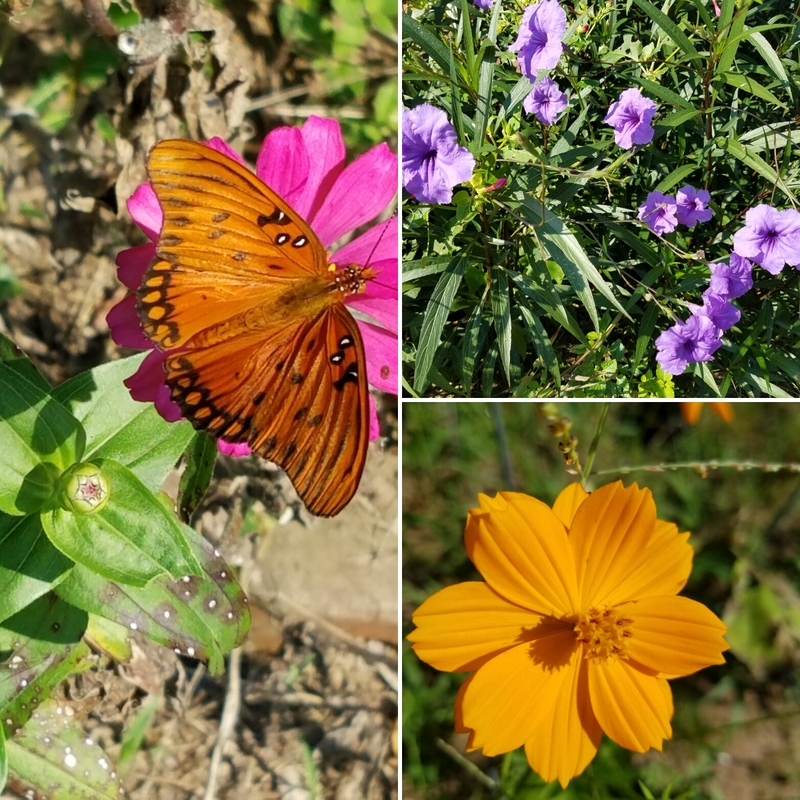 Here’s a pink zinnia with a butterfly, some purple Mexican petunias, and a happy orange cosmos. 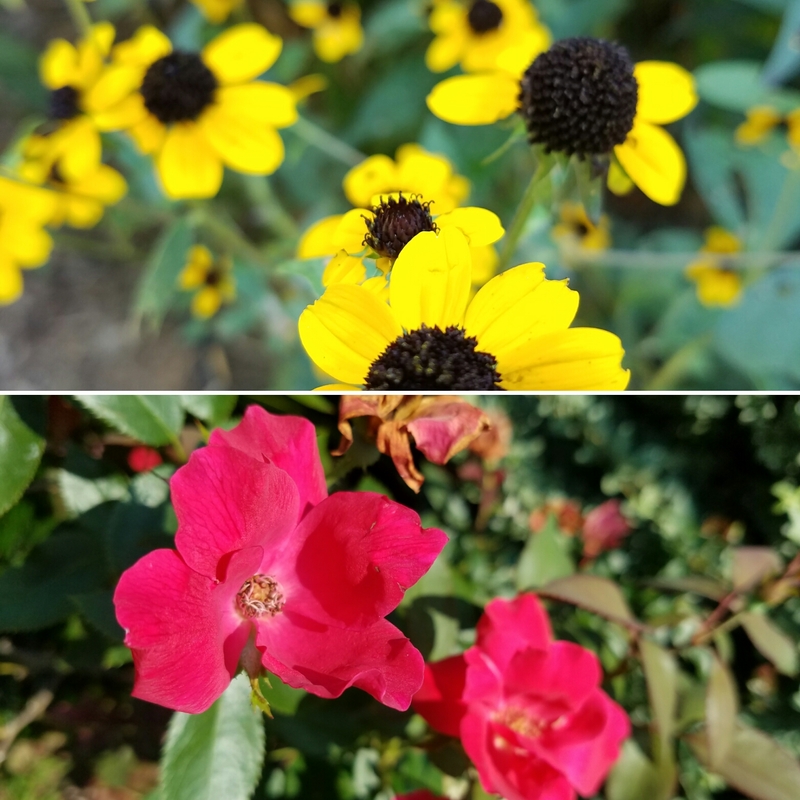 These mini black eyed Susans are cheerful, and the Knockout roses still have some blooms on them. All is not lost in the vegetable garden, even though it is quite the mess. 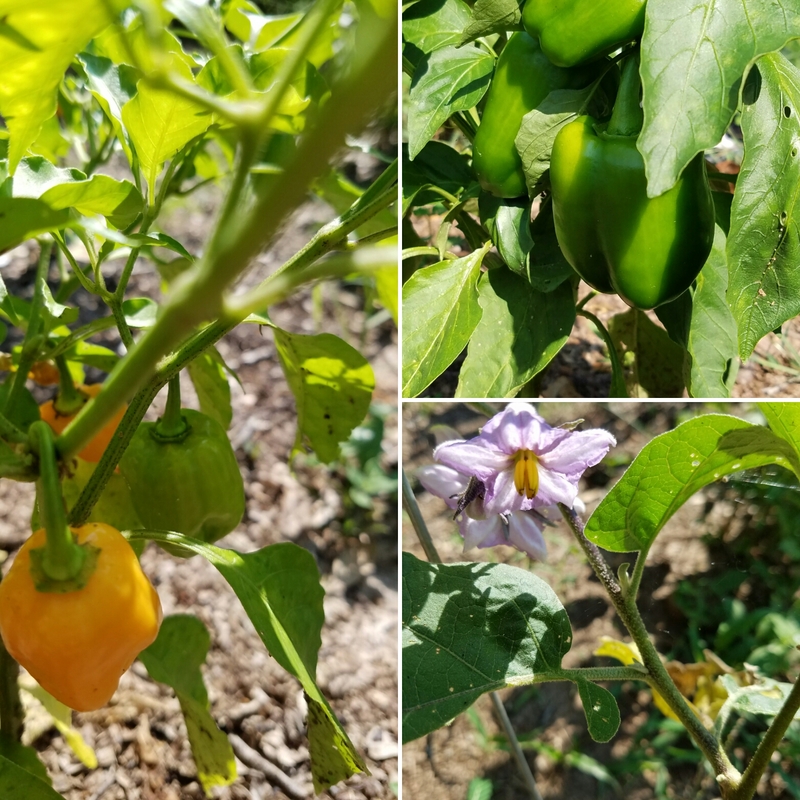 The habenero peppers are starting to turn a pretty tangerine color, I have a few bell peppers, and I spotted a few eggplant blossoms. 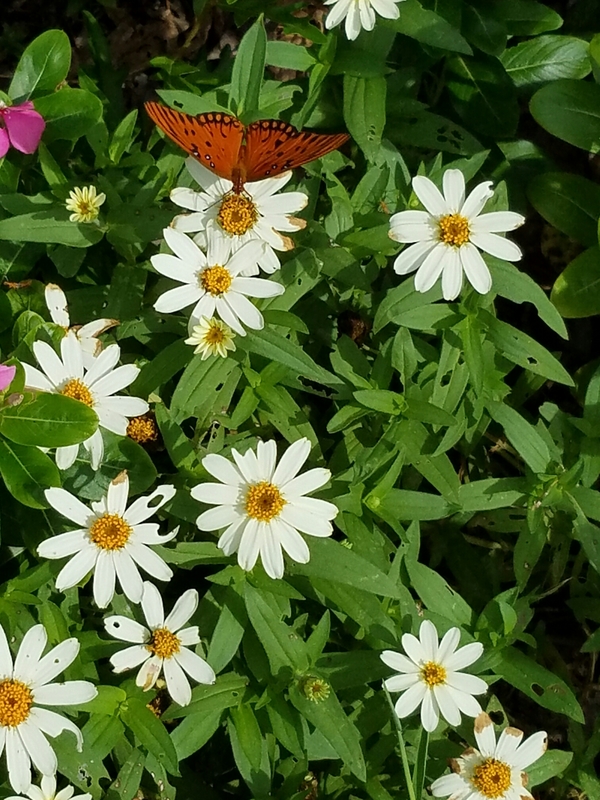 What’s blooming in your yard? Did you find a new favorite this year? On a totally different track, did you know you can buy sprinkles by the pound? I bought a whole pound of sprinkles!! 😀 Look for a post on what I did with them next week! I absolutely love beach sunflower. Blooms all summer long, draws bees like crazy, never needs irrigation, spreads like crazy and then conveniently dies back in the winter. I also grow cypress vine and firebush every summer to draw hummingbirds. I love attracting insects and birds too. Sounds like I need to see if beach sunflower will bloom for me too!